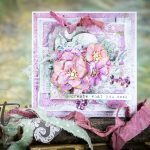 Hi, friends, I’m Sharyn Sowell, an artist designing dies for Spellbinders. 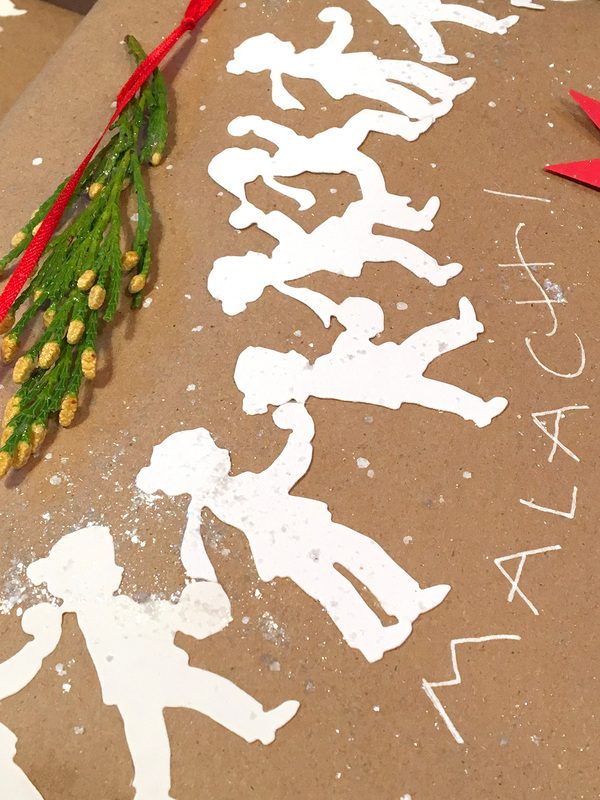 I’m loving the Holiday 2017 dies right now because they feel like pure joy and celebrate the blessing of a family holiday that’s all about love, not perfection. It’s almost Christmas and this is about the time I begin to feel frazzled with so much going on and so much to do. But I’m not willing to stuff my gifts into cheap gift bags or wreck the budget on gift wrap that’s going to be thrown away. This calls for super easy wrap techniques that look splendid. Here’s what’s going under my tree this year, and it’s lightning fast. This is the perfect project, simple enough that you can have the kids help and the results will be stellar. 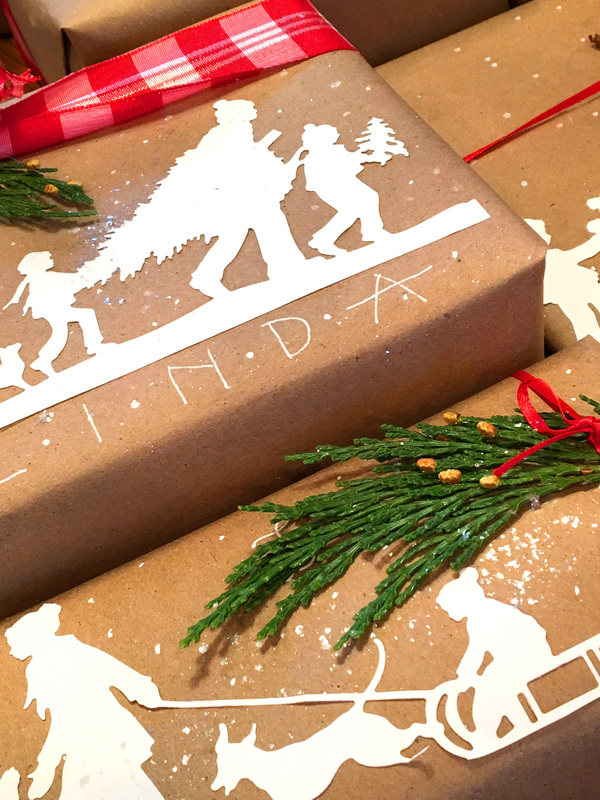 Wrap all your gifts in simple kraft paper. If you’re desperate, you can even use grocery or lunch bags. 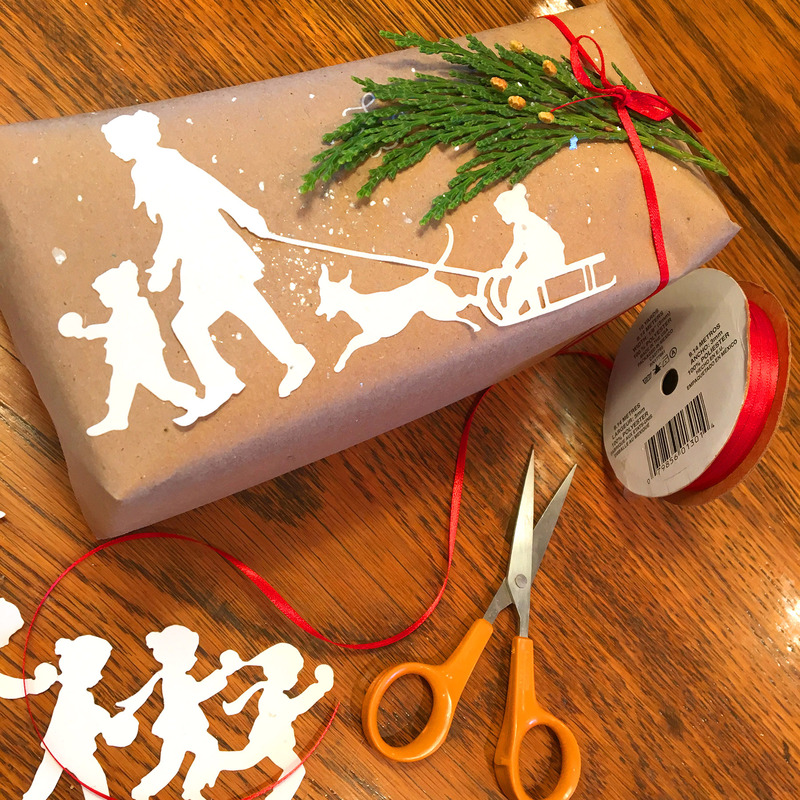 To save time, I wrap everything at once and lightly pencil the recipient’s name on the back of the gifts. 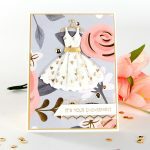 Cut out a nice big stack of dies from my Sharyn Sowell Holiday 2017 collection. Everything in this group would work splendidly but I’ve shown here the Tree Picking die, Sledding die, Building a Snowman die, and the Snow Ball die. 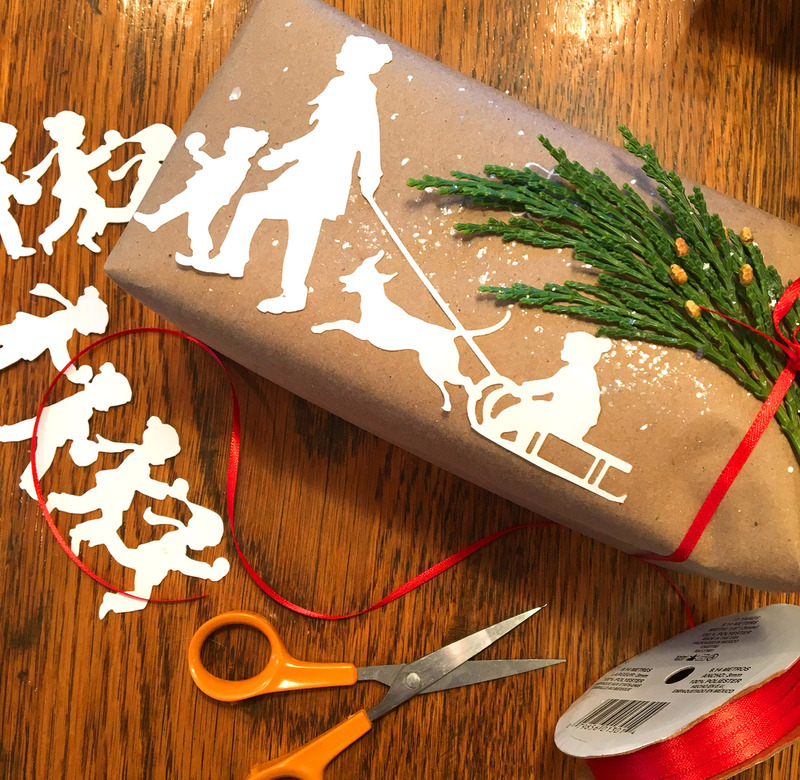 Use a glue stick or paste to adhere the die cuts to the packages. Use one or several, depending on the size of the package. 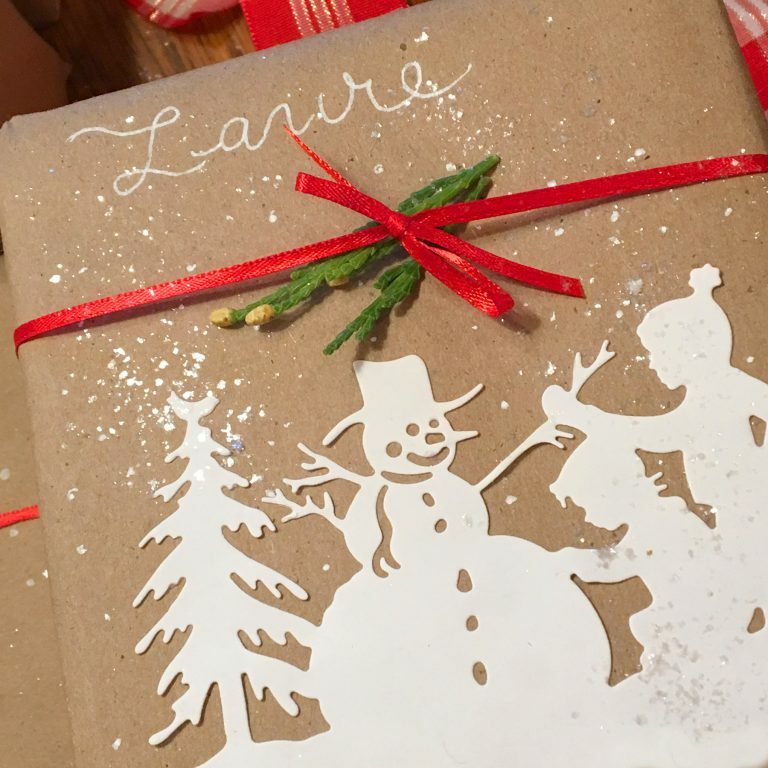 Using a white UniBall Signo pen or a Sharpie, draw dots on the package as snowflakes. 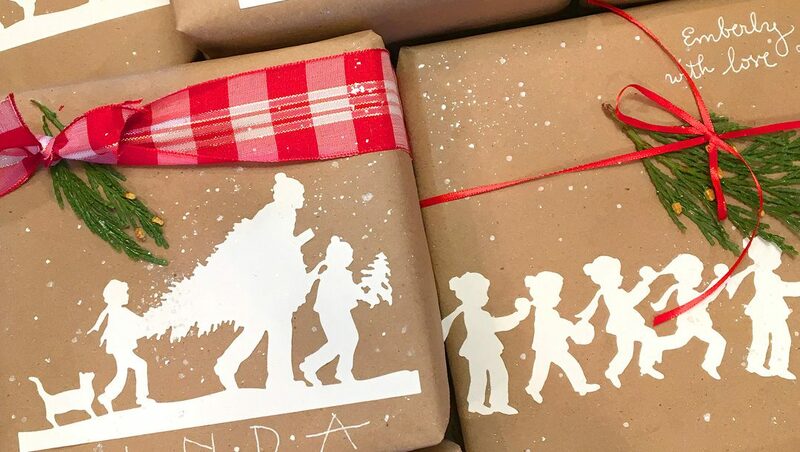 You can sprinkle glitter on if you like, tie bows and bits of greenery to decorate. 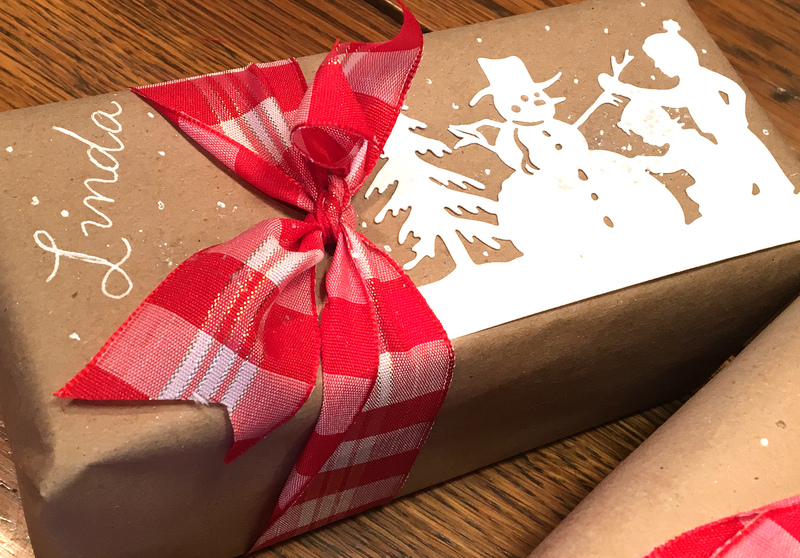 Write the recipient’s name on the package or use a tag. 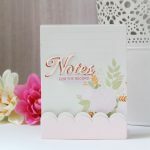 This is about as simple and easy a craft project as you can imagine, and you’ll finish it almost before you start! For more ideas and inspiration for authentically artful living with joy, visit my blog . 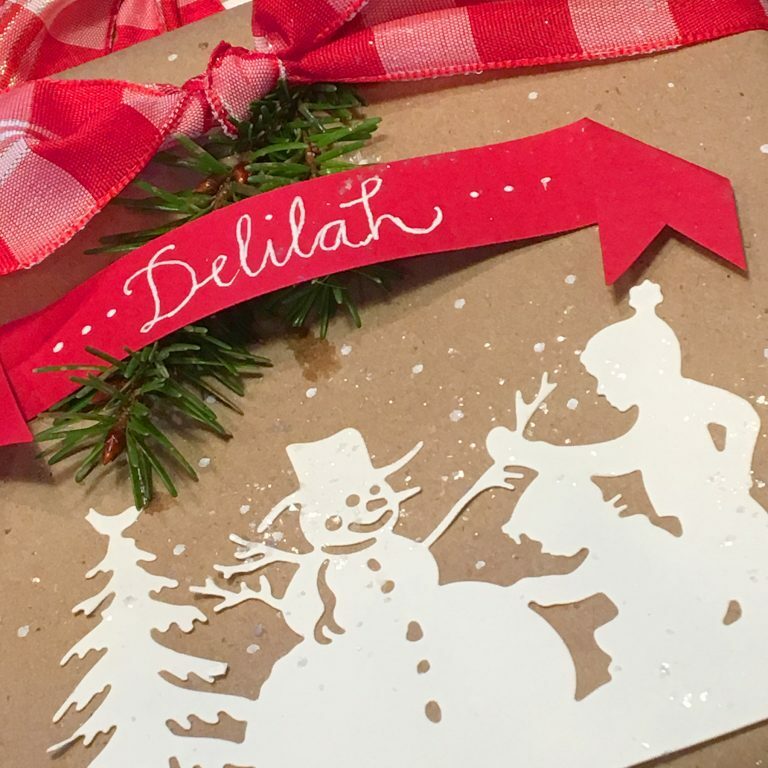 All my dies are designed using just a pair of ordinary scissors and a single piece of paper and are inspired by my rural home in the Pacific Northwest, where I share the joy of making things in community with creative neighbors. Thanks, Carla! Glad you enjoyed it. If you try this, send us photos or post on Instagram. I’d love to see how your packages look. Absolutely love everything about this. Just got several of these dies for Christmas as they were on my wish list. LOVE THEM and can’t wait to use them next Christmas. Hoping Sharyn makes many many more! Debbie, what a sweet note! I so appreciate your kind words. 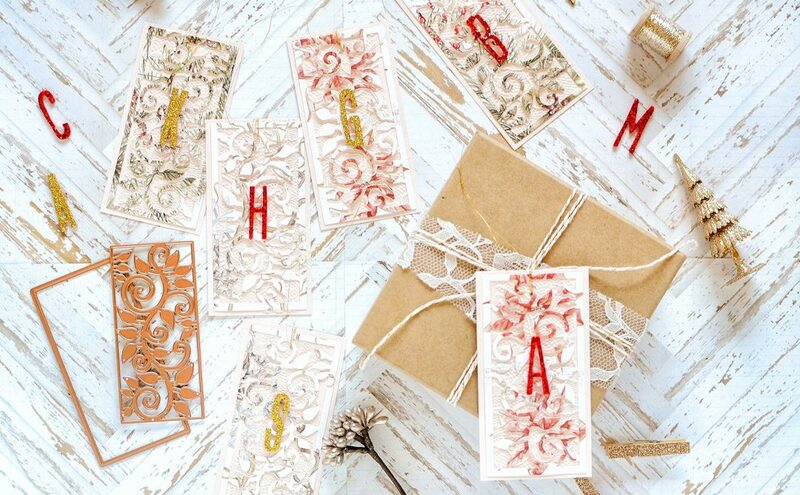 I’m delighted to share that Spellbinders will release two of my newest collections very shortly. 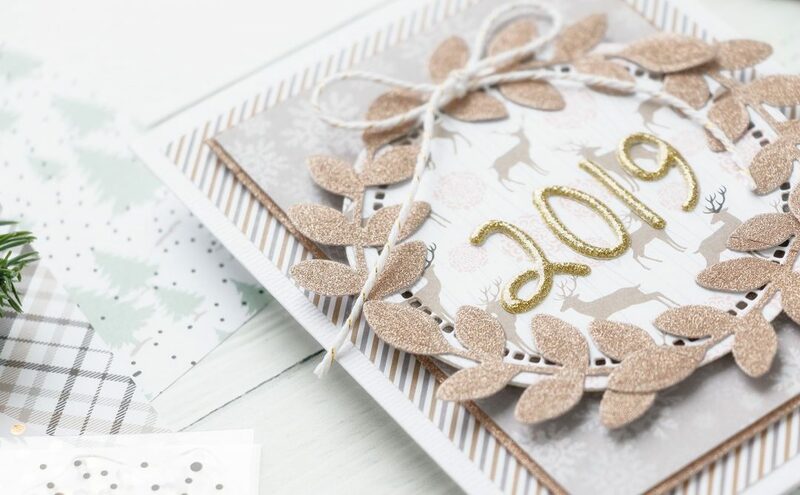 We’ll be showing creative peeks and project ideas and more on the Spellbinders instagram and blog feeds as well as on the “coming soon” area of the Spellbinders home page. 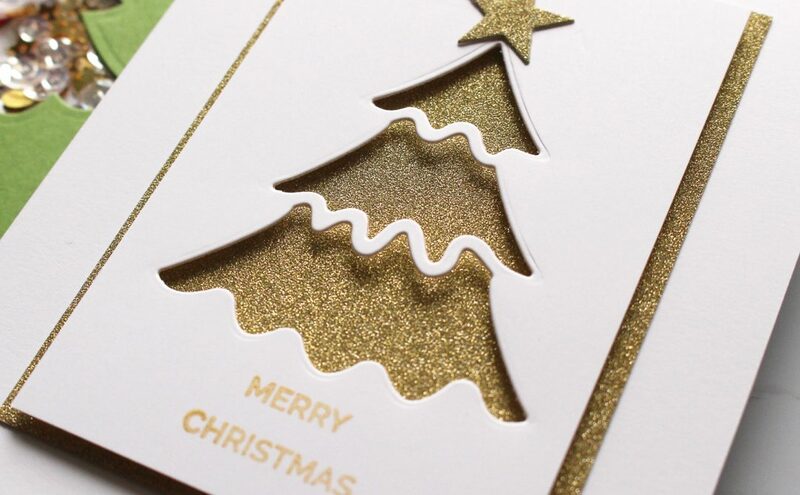 All my dies are snipped first freehand using only scissors and a sheet of paper. The dies are carefully crafted to reproduce the organic feel of that handmade origin so your crafts reflect all the love and care you pour into them. Thanks again~ and I’ll look forward to sharing more projects with you soon!